Why Do People Prefer Payday Loans? Surveys have shown that most people availing of Payday Loans do not all belong to low-income families. The fact is, a lot of them are middle-income earners. Maybe they have a low credit score or maybe they need the funds in a hurry. Whatever their reason may be, more and more people are turning to Payday Loans and Short Term Loans to fund their expenses – even though they charge very high interests. In Canada, cities like Ontario have revised the Payday Loans act to further regulate this booming industry. If Payday Loan companies can charge $21 for every $100 loaned, now, the maximum annual interest should be no more than 60% per annum for Ontario citizens. It’s interesting to note that even when Payday Loan companies charged almost 800% per annum before the revision, a lot of borrowers were availing of the loan. It’s understandable if the borrowers were all people with poor credit ratings since they cannot turn to traditional banks to get funds. But what about the middle income earners who have access to bank loans with lower interests? Quick Cash. Very Quick. If borrowers need funds immediately, Payday Loans or Short Term Loans can release the funds to their account in a matter of hours. It takes a much longer time to go through a bank’s application and approval process. Some people do not want to go through the hassle. They need the funds now and Payday Loan lenders are happy to oblige. Borrowers can apply online or through phone and the amount will be sent to their account. This offers a lot of convenience to people. No emotional attachment Borrowing money from families and friends taxes the relationship and most people have second thoughts advertising their need. Payday Loans and Short Term Loans are purely business and have no emotions involved. No Credit Checks Those with poor credit histories will find it difficult to get loans from traditional banks which requires stellar credit ratings of at least 750. 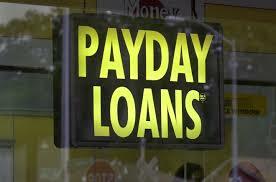 Payday loan companies will lend you the funds no matter what your credit rating is, as long as you have a regular job. It will cost more not to get immediate funds People who issued a check and were not able to fund their account will need to pay an overdraft fee, which when compared to the interest of a Payday Loan, will come out lower. The cost of a Payday Loan is lower, if you compare it to losing your home or your car due to missed payments. Payday Loans and Short Term Loans provide a much needed service to people. However, it should be used with caution. It may feel like having a fairy godmother beside you giving you the funds you need just when you need it. But if you don’t plan wisely, it can quickly morph into a devil that’s chasing you up and down a mountain of rising debt.